As we all know, Android is such a great mobile game platform where game fanciers can find various types of games and also make friends with others. Generally speaking, it is surely convenient to play games on the mobile devices but playing games on a small screen can also reduce the sense of joy. Meanwhile, players have to care about the phone memory as well as battery problems. But if they figure out a way to play Android games on PC, things can make a big difference. 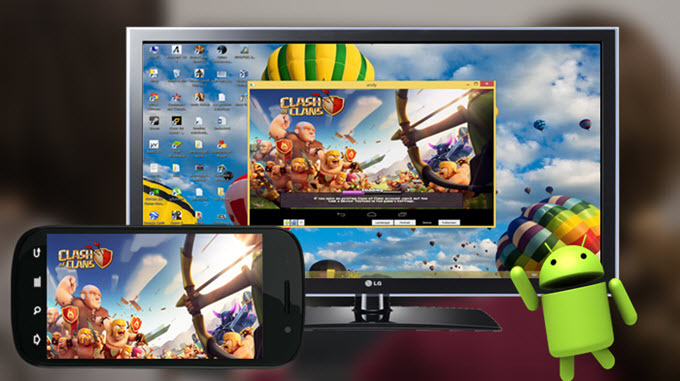 Without any limitation, players can fully enjoy Android games on a large display and also share the experience with their friends at the same time. Wonder how to play mobile games on computer? Here I would like to recommend several feasible programs which can help you out. For Android game players, ApowerMirror is absolutely a nice program. With the help of it, gamers don’t need much time operate. Users can connect their Android phone with PC wirelessly or via using USB cable and the game scenery can be streamed to the PC display immediately. On seeing a larger screen, player can directly play Android game on PC with mouse clicks delightfully. Plus, they can even type and receive message from other game players on desktop. To know how to use the program, just read the guidance below. Install and launch the program on desktop. Customize some necessary settings like display quality. Turn on USB debugging in developer options on your phone, then connect it with your PC using USB cable. When an “Allow USB debugging” window pops up, simply hit “OK” to go head. Then the ApowerMirror Android version will be installed automatically to your device. If it fails to get installed, you can manually access it from below. Next, open the app in Android and tap “START NOW” to give permission for start capturing anything on your screen. Once done, you can see your game screen mirrored on the computer immediately. At that time, you can enjoy playing the game with better visual experience. If players want to record Android game clips or take HD game screenshots, they can simply click on the buttons on the toolbar and get what they want. Upon how to play Android games on PC, many players can also choose BlueStacks. 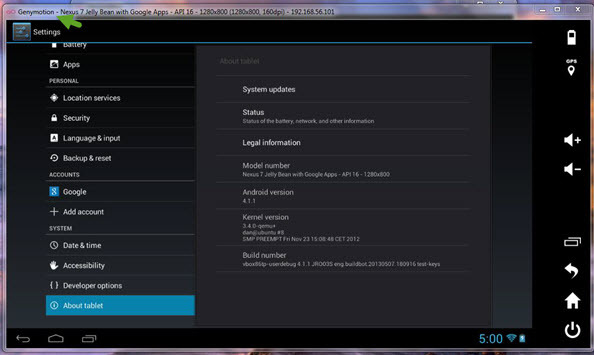 It is an Android Emulator which can set up a virtual Android environment on PC. Players can use their Google account to sign in and download any game app on it. And it also allows users to connect their account to cloud and sync their data by just one-click. However, it is more than 1GB in size and the installation can take a little time there, too. When it comes to playing Android games on PC, another great helper is GenyMotion. 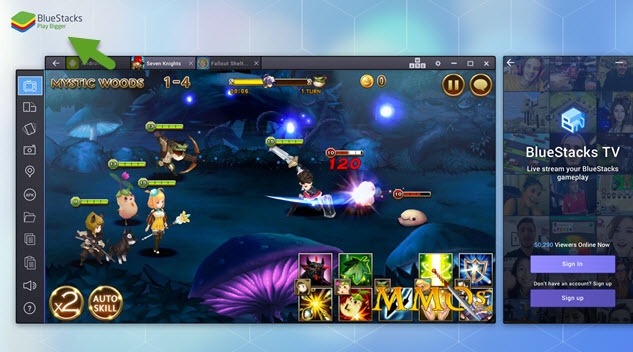 It is also an Android virtual emulator that can open mobile games and apps on computer screen. 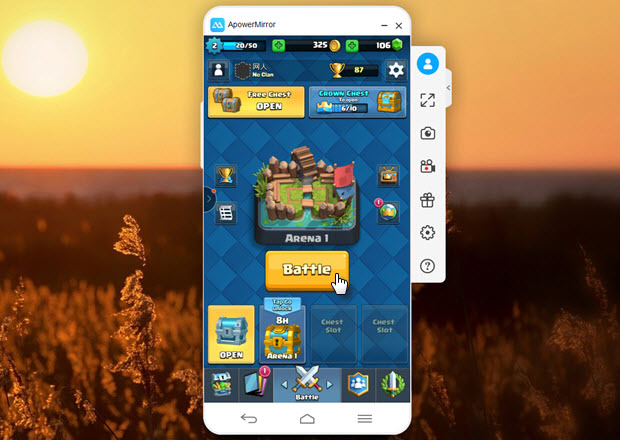 Considered as the best alternative program to BlueStacks, Android gamers can utilize this to play Android games easily. Moreover, they can choose different phone types so the virtual environment can be completely same as their mobile phone. Likewise, it needs account registration and installation is time-consuming. Those are all workable ways concerning how to play Android games on PC. Players can choose the most suitable one for them. 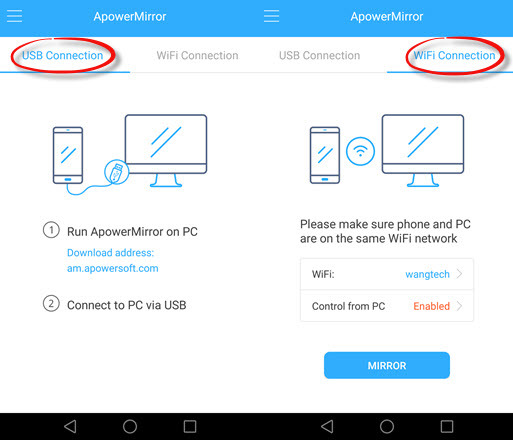 Personally speaking, I do think ApowerMirror should be the best program for it’s simple to use and user can take full control of their device on desktop. Plus, the video recording feature really benefits me a lot when I want to make game video or give commentary during playing.